and workers on the Chesapeake Bay? 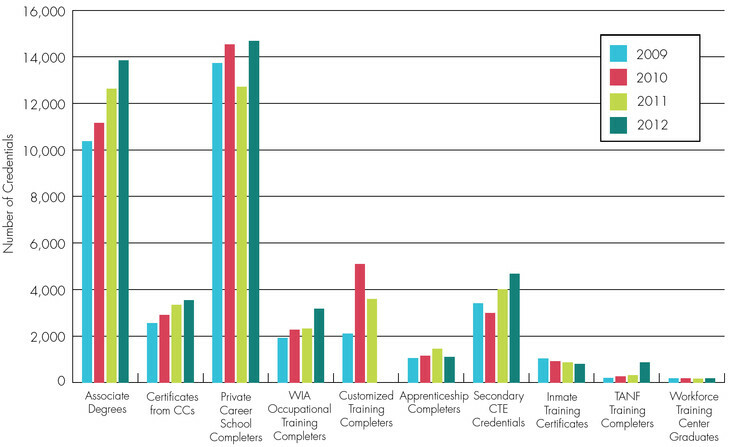 Middle-Skill Credential Attainment in Maryland, Maryland StateStat 2013. Should Maryland extend its excise tax cap on boats beyond 2016? The American Boat & Yacht Council (ABYC) was created in 1954 as a non-profit organization to develop safety standards for the design, construction, equipage, repair and maintenance of boats. The role of ABYC is to be the essential source of technical information for the international marine industry. They develop product safety standards, credentialing, education, and training with the goal of making boating safer. The Alexandria Seaport Foundation (ASF) is located in historic Alexandria, Virginia. ASF’s primary focus is to use traditional boat building to help at-risk and disadvantaged youth improve their lives. These skills and competencies, along with improved attitude and increased self-esteem, allow these youth to enter the workforce and become responsible, productive members of society. Along with career and woodworking skills, apprentices improve their academic competencies (reading, math, and history) through project-based learning and in the context of traditional wooden boat building. The mission of the Newport News Shipbuilding Apprentice School is to contribute to the profitability and growth of Newport News Shipbuilding by recruiting, training and developing men and women for careers in shipbuilding. The School provides the company with a continuous supply of journeypersons who possess the skills, knowledge and pride of workmanship that have traditionally distinguished the shipbuilding craftsman. The Automotive Training Center offers a course in Marine Service Technology for people interested in working on marine engines and would prefer to work outdoors the majority of the time. You’ll receive hands-on training and experience while performing maintenance and repair on inboard and outboard engines manufactured by Honda and Mercury Marine, as well as other major manufacturers. You’ll even wrench commercial and pleasure watercraft engines in dry and wet settings and study the finer points of marine engine technology in a classroom setting. 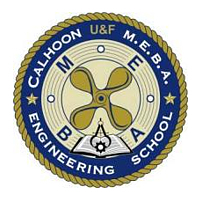 Located in St. Michaels, Maryland, the Calhoon MEBA Engineering School is a private maritime educational facility for training members of the Marine Engineers Beneficial Association, as well as all maritime and related industry professionals. They provide today's professional marine engineers, deck officers, and related industry professionals with internationally recognized training and experience that enhances the safety, reliability, and profitability of their vessels and equipment, while preserving and protecting the natural environment. The Cecil College Oceans Studies program option prepares students to transfer to a four-year institution for continued study in ocean sciences and coastal studies. Ocean scientists use their knowledge and skills to answer questions about the ocean system, marine life, pollution, chemistry, heat transport, weather influences, climate, and the atmosphere. Career opportunities include geological, physical, chemical or biological oceanographer, marine biologist, fisheries scientist, marine archeologist, education, and marine policy expert. 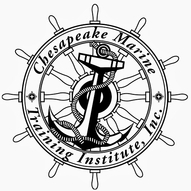 Located in Hayes, Virginia, the Chesapeake Marine Training Institute offers Coast Guard approved, IMO compliant and preparation courses for all levels of maritime licenses, credentials and endorsements. Areas of instruction include deck/wheelhouse, engineer, navigation, and firefighting. Since 1992, CMTI has established an outstanding record of assisting mariners to successfully prepare for their demanding USCG Deck License Exams. The Marine Trades Industry Partnership is one of the EARN Maryland 2014 Implementation Grant Awardees. With an aging workforce, the marine trades industry faces a skills shortage for working boatyards, marinas, and contractors. This unique partnership awards successful completion of job readiness and customer service training for entry-level workers with paid internships offering vital on-the-job experience. An interdisciplinary major in Marine and Environmental Science is offered through the Hampton University Center for Marine and Coastal Environmental Studies. The major program is drawn from the disciplines of marine and environmental science, biology, chemistry, geology, physics and mathematics. Students get real world experience by getting hands on experience with professional tools and travel to nearby wildlife preserves such as the Chesapeake Bay Wildlife Reserve. Located in Rhode Island, the IYRS School of Technology & Trades’ Boatbuilding & Restoration program is a comprehensive two-year program that combines the time-honored craft of wooden boatbuilding with the modern problem solving skills to succeed in today’s thriving job market. IYRS also offers training to install, repair, and maintain essential marine systems. 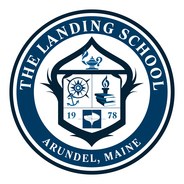 Located in Maine, the Landing School’s mission is to effectively prepare men and women for careers in the marine industry as practical designers, builders and systems technicians who work professionally on today’s vessels, adapt to the industry’s evolving technology and appreciate the traditions of the past. The Landing School blends modern yacht design, wooden boat building, composite boat building and marine systems technology under one roof. The Maritime Institute of Technology and Graduate Studies (MITAGS) in Linthicum Heights, MD is dedicated to providing the most comprehensive theoretical and practical maritime training for today's seafarers. From ordinary seaman to unlimited tonnage master/pilot, MITAGS has the industry resources and expertise to support you every step of the way. This includes a range of comprehensive programs, courses, USCG examination assistance, and industry leading maritime simulation. The Marine Biology Concentration at Old Dominion University provides students with coursework and practical experience in marine biology while ensuring a strong, balanced education in the natural sciences. The Department of Ocean, Earth, & Atmospheric Sciences acquires and disseminates knowledge of the earth system, including the relationships among the biological, chemical, geological and physical components of our planet. 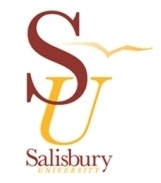 Salisbury University’s fast-growing and exciting Environmental Studies Program integrates courses in the humanities, social sciences, and natural sciences to give students the tools they need to examine complex environmental issues in depth and assess them from a variety of perspectives. With the Chesapeake Bay next door, students can explore the Nanticoke and the Pocomoke; visit major wildlife refuges at Blackwater and Chincoteague; observe working watermen’s communities on Smith and Tangier Islands; and investigate close to a hundred thousand acres of wetlands. The Southeast Maritime and Transportation (SMART) Center is a National Science Foundation Advanced Technological Education Center in the maritime and transportation industry. It serves as a regional educational and economic model for preparing a maritime and transportation workforce for the 21st century. The industry encompasses four main segments: seagoing, shipbuilding and ship repair, recreational boating, and ports and logistics. The Marine Skilled Trades Training program is a collaboration of Virginia Community Colleges with the state’s largest private employer, Newport News Shipbuilding. Thomas Nelson, Tidewater, Paul D. Camp, Rappahannock and Eastern Shore Community Colleges identified a growing need for skills training in Hampton Roads. To meet the demand, the five colleges formed a historic partnership with the Virginia Community College System and Newport News Shipbuilding to train and hire skilled workers from the community. The Tidewater Community College Center for Workforce Solutions offers training in various maritime and transportation fields. The Hampton Roads Maritime Training Program is one of the few schools on the East Coast offering U.S. Coast Guard-approved courses for workforce training and certification in many aspects of seamanship. TCC works closely with several employers in the area, offering apprenticeship training to their workforce. The Southeastern Maritime and Transportation Center (SMART) is a partner with TCC and offers career training to those in the maritime industry. The Environmental Science and Studies (ESS) program at Towson University offers interdisciplinary curricula at both the undergraduate and graduate levels. The program draws on the talents and skills of faculty from across the university and prepares students to think critically about environmental issues and problems. Many of their classes and seminars focus on local environmental problems from the adjacent urban/suburban area and their impact on the surrounding region and the Chesapeake Bay. In endeavoring to prepare officers to meet the Navy's present and future needs, the U.S. 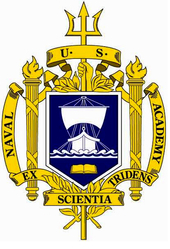 Naval Academy’s NA&OE Department offers degrees in Naval Architecture and Ocean Engineering - both dynamic interdisciplinary fields involving the application of engineering principles to the ocean environment. The Oceanography Major is designed for students with a strong interest in the physical and dynamic properties of the ocean and atmosphere. After graduation, our majors utilize their expertise in the fleet, may pursue advanced degrees and eventually transition to civilian careers as professional Oceanographers or Meteorologists. The Living Marine Resources Cooperative Science Center at the University of Maryland Eastern Shore supports the goals of NOAA's Educational Partnership Program through cutting edge research and training of students at all levels for careers in fisheries. The program recruits students from under-represented groups into marine and fisheries science disciplines with a goal to increase retention and degree completion rates for students in marine and fisheries sciences programs. The University of Maryland Center for Environmental Science is the premier research and educational institute working to understand and manage our world‘s natural resources. From the Appalachian Mountains to the Arctic, from fisheries to climate change, we pursue solutions to improve people‘s lives and our natural world and train the next generation of science leaders. 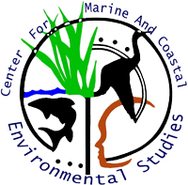 The Marine-Estuarine-Environmental Sciences (MEES) Graduate Program is a highly interdisciplinary, multi-campus graduate program in marine and environmental science. In addition to undergraduate and graduate courses, the Virginia Institute of Marine Science (VIMS) offers a number of educational opportunities for professionals and citizens involved in managing and restoring marine resources. The Chesapeake Bay National Estuarine Research Reserve program at VIMS addresses critical resource management issues through its Coastal Training Program. The Center for Coastal Resources Management at VIMS cater to people involved in marine resource management and conservation. The Marine Advisory Services Seafood Education Program at VIMS offers information on seafood through workshops and seminars, cooking demonstrations, and professional development programs for chefs. The Department of Aerospace and Ocean Engineering at Virginia Tech offers a unique blend of two disciplines that takes advantage of commonality in the analysis and design of aerospace and ocean systems. The Department has 21 full-time faculty working in aerodynamics, hydrodynamics, structural mechanics, material science, dynamics and control, multidisciplinary design optimization, and energy systems. 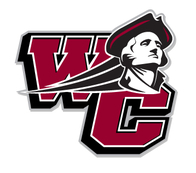 The interdisciplinary major for environmental studies at Washington College is designed to educate students of diverse backgrounds and interests about the nature and complexity of environmental issues. In a predominantly rural area projecting rapid growth, their students use the Chesapeake Bay region—its farms and waterways, its history and culture, its people and their environmental concerns—as a learning laboratory. 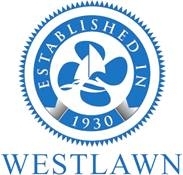 Since 1930, Westlawn Institute has trained more practicing boat designers than any other institution in the world. They offer various programs that appeal to industry professionals and boating enthusiasts with a range of different experiences and skill sets. Westlawn Institute is a nationally and internationally accredited school, with students from every corner of the globe. All courses are 100% distance learning. 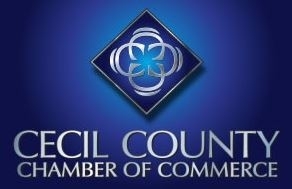 The Cecil County Chamber of Commerce is a vital, vibrant part of their community. Their members are dedicated to upholding the highest business standards and ethics and support the efforts of the Chamber in the areas of advocacy, education, networking and marketing of local businesses. Cecil County is a community steeped in history, rich in natural resources, and full of promise. More than 320 businesses with over 12,000 employees are located in or do business there. The Havre de Grace Chamber of Commerce is the oldest Chamber in Harford County. It was formed in 1928 under the sponsorship of the Kiwanis Club. The Chamber was later incorporated under the laws of Maryland in 1933 and has now been in continuous existence since 1933. Today it is an active organization with over 270 members. The City government is business and development friendly and works closely with the Chamber. 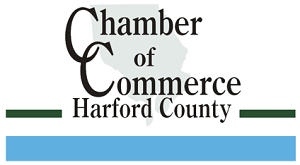 The Harford County Chamber of Commerce is the second largest Chamber in Maryland. The Chamber is the premier networking and business development organization in Harford County since 1976. They sponsor over 40 annual events that help businesses build strong partnerships and connections to the local and regional professional market. The Baltimore County Chamber of Commerce is member-driven, member-supported organization that has been the voice of business in Baltimore County since 1966. As a long-standing community partner, they ensure the county maintains a healthy business climate, a well-trained and educated workforce, quality schools and safe neighborhoods, not just for the interest of business, but for the future of our community. The Chamber hosts numerous programs and events each year to help our more than 500 members develop strategic relationships within the business community. The mission of the Baltimore City Chamber of Commerce is to promote business interaction among its members, to provide information and resources for its members, and to advocate the adoption of a pro-business agenda by the City of Baltimore and the region on behalf of its members. The Chamber’s membership continues to grow and extend the reach of the Chamber further into the business community as well as into the public sector, at both the City and the State levels. Nestled between the Chesapeake Bay and the Chester & Sassafras Rivers on Maryland’s Upper Eastern Shore, the County of Kent, founded in 1642 is less than a two-hour drive from Philadelphia, Baltimore and Washington D.C. Kent County is comprised of quaint waterfront towns, fertile farmland and diverse communities filled with rich history, unique charm and breathtaking scenic beauty. 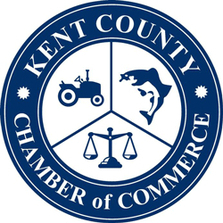 The Kent County Chamber of Commerce is proud to serve more than 300 business members and plays a vital role in keeping the area a vibrant economic center. 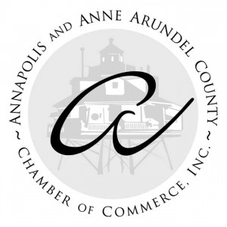 The Annapolis and Anne Arundel County Chamber of Commerce was founded in 1918 as the Annapolis Chamber of Commerce. After the Second World War, the Chamber increased its focus on concerns of particular interest to county businesses. Today, the organization is one of the largest chambers of commerce in Maryland with a strong advocacy role for businesses, a vibrant networking role that helps businesses expand their customer base, and unparalleled access to resources important for businesses to grow and succeed in the City of Annapolis, and Anne Arundel County. The Mission of the Queen Anne's County Chamber of Commerce, a membership driven organization, is to serve, represent and be the foremost advocate of its members in such a way as to enhance the quality of life and well being of our unique county, its residents and visitors, through continued and orderly growth of our business enterprises. The chamber has continued to be a key supporter of local economic growth advocating for a business friendly environment that welcomes new businesses and tourists to the county. 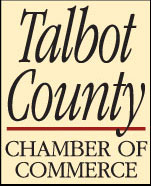 The Talbot County Chamber of Commerce is the voice of business for 800 members representing 8,000 employees. The Chamber’s objective is to protect, preserve and promote the free enterprise system of business and to advance the commercial, industrial, civic and general interests of the Eastern Shore of Maryland, Talbot County and its trading area. The Chamber encourages business and community growth and planned development by promoting economic programs designed to strengthen and expand income potential of all business within our trading area. 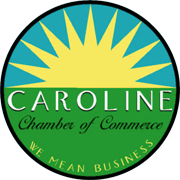 The Caroline County Chamber of Commerce is a networking, information and growth resource for businesses, nonprofits, government institutions and other organizations as well as interested individuals. Although the economy has been challenging for the past several years, The Chamber’s goal is to serve as the center for development, education, communication, and partnerships within our business community. The Calvert County Chamber is an alliance of approximately 400 members and over 700 representatives working together to develop a productive climate in Calvert County in which to conduct business. The Chamber enables its members to accomplish collectively what no one could do individually. The mission of the Chamber of Commerce is to be the influential voice of business, creating economic vitality by promoting the business community and its members. The Charles County Chamber is a private, not-for-profit organization of more than 700 member businesses. Founded in 1956, it is the largest private business organization in Southern Maryland. The Chamber’s mission is to provide leadership in supporting and promoting the free enterprise system through business development, education and sound ethical values for the benefit of their members and their communities. The Dorchester Chamber of Commerce is the community's oldest, largest and most effective business advocate. Our over 500 members represent all sectors of activity in the heart of Chesapeake Country. The business community of Dorchester County is active, responsive and involved in making the community a great place to live and do business. The region’s economy remains largely driven by agriculture and light industry. The land along with Chesapeake Bay and its' contiguous rivers offer unique possibilities for business activity as well as recreational opportunities to visitors. The Salisbury Area Chamber of Commerce is an organization of community-focused leaders dedicated to promoting a positive business environment by supporting economic development through networking, teamwork and innovative thinking. The Chamber is a voice and resource for business, education, agriculture, civic and community organizations throughout Delmarva. SACC is the primary voice of the Lower Eastern Shore Business Community serving 800 members. The St. Mary’s County Chamber of Commerce works to maintain a favorable business climate in St. Mary’s County by assisting in the development, growth, and promotion of business. The Chamber encourages business and industrial investment in the community, supports education at all levels, promotes tourism, and strives towards the creation of more jobs in St. Mary’s County. The St. Mary’s County Chamber was founded in 1974 and is currently a member of both the United States and Maryland Chambers of Commerce. The City of Crisfield is a popular destination for travelers and visitors who want to experience the culture of a waterman's town and the natural beauty of Maryland's Lower Eastern Shore. For over thirty years the Crisfield Chamber of Chamber has been promoting the benefits, attractions and peaceful lifestyle of this quiet waterfront town. With the local community, the Chamber has established nationally recognized events such as the J. Millard Tawes Crab and Clam Bake and the National Hard Crab Derby. The Lancaster by the Bay Chamber of Commerce works to focus on their mission "...to support and promote economic activities which will enhance and strengthen the local business we serve." They invite everyone to join them at their many networking events and programs and to invest in each other to strengthen our Chamber of Commerce and community. They maintain the small town atmosphere that residents and guest have come to enjoy. The Mathews County Chamber of Commerce is dedicated to furthering the economic prosperity and sense of strong, community-oriented business practices of Mathews, Virginia. The Chamber is organization of business people and other like-minded citizens seeking to improve the quality of life and the professional standards of the community. Together, they work to make Mathews County a meeting place between community values and economic growth. Colonial Gloucester County, because of its proximity to Jamestown and Williamsburg, had some of the earliest English settlements in the New World. The county was formed in 1651. The Gloucester County Chamber of Commerce caters to visitors who come to witness the county’s pre-revolution history through rare collection of historic homes, churches and public buildings. The Northampton County Chamber of Commerce is a non-profit organization that has been influencing progress on the Eastern Shore of Virginia since 1967. We have over 250 members and we are growing rapidly. They seek to develop awareness of Northampton County and its opportunities as well as its challenges. The York County Chamber of Commerce’s mission is to support our existing business community, attract new businesses, and to continue to be the voice of business in York County. The Chamber plans a Political Action Committee to represent businesses in county and state legislative and political affairs. 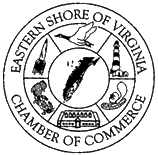 The mission of the Eastern Shore of Virginia Chamber of Commerce is to serve, promote and connect the businesses and communities of the Eastern Shore of Virginia. 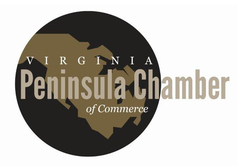 The Virginia Peninsula Chamber of Commerce is a prominent and pro-active force in Public Policy, speaking on behalf of the region's businesses. They add value to our business community and to the community at large by advocating policy initiatives that are critical to economic growth, job creation and job security. The Virginia Peninsula Chamber of Commerce serves the Cities of Newport News, Hampton and Poquoson; and James City County and York County. 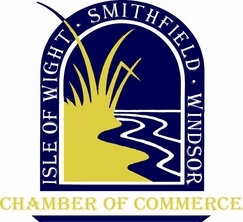 The Isle of Wight · Smithfield · Windsor Chamber of Commerce is voluntary organization of business and professional men and women who have joined together for the purpose of promoting the civic, commercial and industrial progress of our community. The Chamber has a major impact on the economic well being of our community. The Chamber acts as a unified voice for businesses and professionals and as a community organization, to render specific services to the members and to the general public. 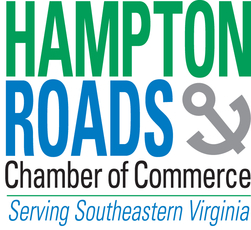 The Hampton Roads Chamber of Commerce is the Region’s premier business organization; helping their members succeed, driving regional economic growth and enhancing the quality of life of our community’s residents. The Hampton Roads Chamber of Commerce strives to be the recognized national leader in ensuring a regional pro-business environment, strengthening a regional economy, and enhancing its members’ success, growth and vitality. The Marine Trades Association of Baltimore County formed in 1988 to present a pro-active voice for the marine related businesses and communities in eastern Baltimore County. Working closely with government, community, and business leaders, considerable improvements have been made in the quality and safety of our local waterways. The Association keeps its membership informed of legislation and various “quality of life” issues that affect recreational boating, as well as waterfront living. As a community-oriented association, MTABC has awarded over $100,000.00 in scholarships to local high school seniors for their college education since 1994. The Marine Trades Association of Maryland provides representation on marine trades issues before the Maryland legislature, as well as with State and Federal agencies. The MTAM staff and the Association’s lobbyist introduce and monitor legislative activities. Government officials are kept apprised of the marine industry’s position on various issues prior to the development of laws and regulations. PortBook publishes Marine Services Directories for Annapolis, Newport, Narragansett Bay, and the Eastern Shore of Maryland. PortBook is also closely tied to SpinSheet and PropTalk magazines, the sail and powerboat publications for the Chesapeake Bay. Separate editions of PortBook are printed annually for the two regions, and both publications include comprehensive maps of the ports, marine service listings, and information about visiting Newport and Annapolis. This website features all the listings from the print publications as well as current events and newly listed businesses. The Virginia Marine Trades Association is a non-profit trade association organized to promote and support Virginia’s recreational marine industry. The members are comprised of dealerships, boatyards, builders, marinas, sales brokers, boating service providers, marine technicians, and individuals. The VMTA represents members before elected officials and state agencies. The Association is also working to develop and promote educational opportunities for those seeking to work in the industry.